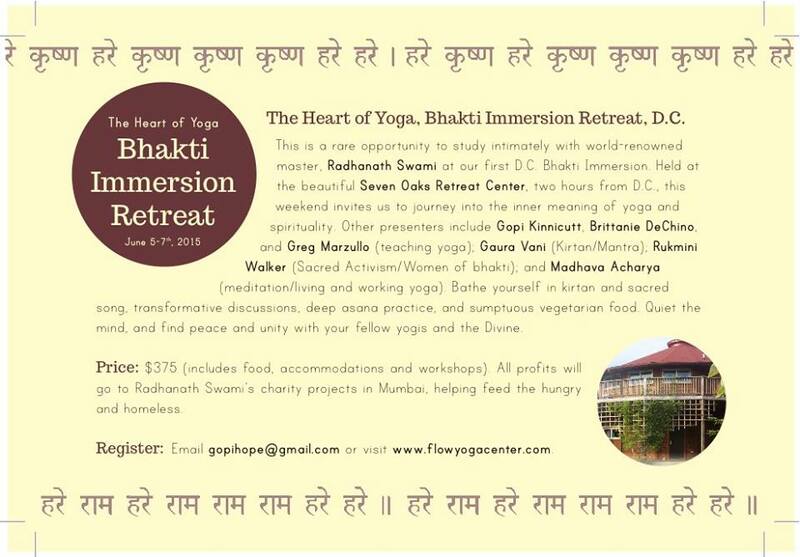 This is a rare opportunity to study intimately with world-renowned master Radhanath Swami in our first DC Bhakti Immersion. Held at the beautiful Seven Oaks Retreat Center, 2hr from DC. This weekend invites us to journey into the inner meaning of yoga and spirituality. Other presenters include Gopi Kinnicutt, Brittanie DeChino, and Greg Marzullo teaching yoga. Gaura Vani (Kirtan/Mantra), Rukmini Walker (Sacred Activism/Women of bhakti), Madhava Acharya (Meditation/Living and working yoga). 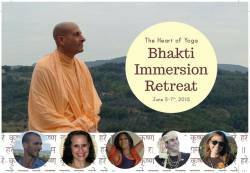 Bathe yourself in kirtan and sacred song, transformative discussions, deep asana practice, and sumptuous vegetarian food. Quieten the mind and find peace and unity with your fellow yogis and the Divine. Retreat cost: $375. Includes food, accommodations and workshops. All profits will go to Radhanath swami charity projects in Mumbai to help feel the hungry and homeless. Sevenoaks Retreat Center is located on 120 acres of secluded forest land in the foothills of the Blue Ridge Mountains.The 120-acre property is expansive, largely wooded, bordered by the pretty Rapidan River and surrounded by views of the Blue Ridge mountains. 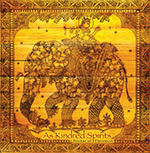 Shamans who have regularly visited Sevenoaks describe the land as “spiritually seasoned”. Simply put, it feels good to be at Sevenoaks.The featured building is Lighthouse, which offers a wonderful, 52-foot-diameter circular meeting space for groups. Located in Central Virginia, Sevenoaks feels private and secluded without being too remote. It is easily accessible by car from large cities and airports, reachable in less than two-hours from Washington DC, 75 minutes from Richmond, or 30 minutes from Charlottesville. Such a confluence cannot easily be created and provides a richly desirable place for personal development retreats and workshops. More information about the retreat, including the schedule is here. Radhanath Swami is amazing. I would love to be here for this retreat.